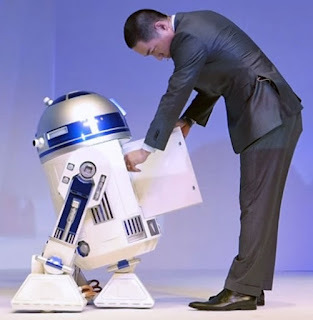 Over on mashable.com, they showed off a "Life-sized moving R2-D2 refrigerator [that] is cooler than you can possibly imagine" here. Also, on thinkgeek.com, take a look at the "Critical Hit D20 Mug" here. Finally, on the blogs of discovermagazine.com, they have an article showcasing "3-D Printing Robots [that] Will Build a Bridge in Amsterdam" here.